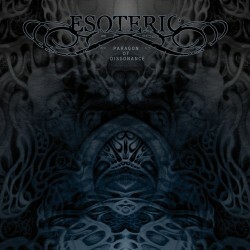 ESOTERIC emerged as a cult band from the Doom scene. When the band, hailing from the United Kingdom, was formed in 1992, they invented a new musical formula that consists of psychedelic elements mixed with classical Doom Death Metal. Their debut double album “Epistemological Despondency” (1994) was already well received and the group’s reputation grew with each following release from “The Pernicious Enigma” (1997) via “Metamorphogenesis” (1999) to “Subconscious Dissolution Into The Continuum” (2004) and “The Maniacal Vale” (2008), as well as with their impressive live performances. Their dark and innovative music is inspired by their thoughts, philosophies, emotions and experiences, capturing the word “esoteric”. Get ready for a sonic ride through the heart of Doom!